Intel is aiming to give businesses hosting cloud applications a boost by launching a new series of solid state drives for data centres. Designed for read-intensive applications such as web hosting, cloud computing and data centre virtualisation, Intel is touting its new DC S3500 Series as a replacement for slower, traditional disk drives. 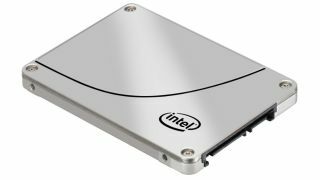 Its latest SSDs combine 20nm Intel NAND Flash Memory technology with SATA 6Gb/s interface support to reach sequential read speeds of up to 500 MB/s and sequential write speeds of up to 450 MB/s. With faster access to data, web pages load quicker and applications benefit from nippier response times. Superior performance means SSDs have traditionally lied at the more expensive end of the scale. However, prices of flash memory have fallen in recent years, and Intel is selling the new DC S3500 series at a cost that removes barriers of entry to the technology for smaller businesses with lower storage requirements. It is offering two SSDs in capacities ranging from 80GB to 800GB, at a suggested retail price of $115 (£73) and $979 (£625) respectively. Moreover, Intel claims that its DC S3500 SSDs offer improved total cost of ownership over traditional hard disk as a result of reduced power consumption, more consistent performance, and smaller space requirements as less rack space is needed. Speed and consistent performance are important factors for companies looking to move into cloud computing, which stores data or software in a remote location so it can be easily accessed at any time over the internet. Data loss is also of high importance, and Intel has built data protection features into its new SSDs, including capacitors that provide a short period of backup power to the drive allowing it to finish operations in the event of a power loss, and 256-bit AES encryption for data protection.